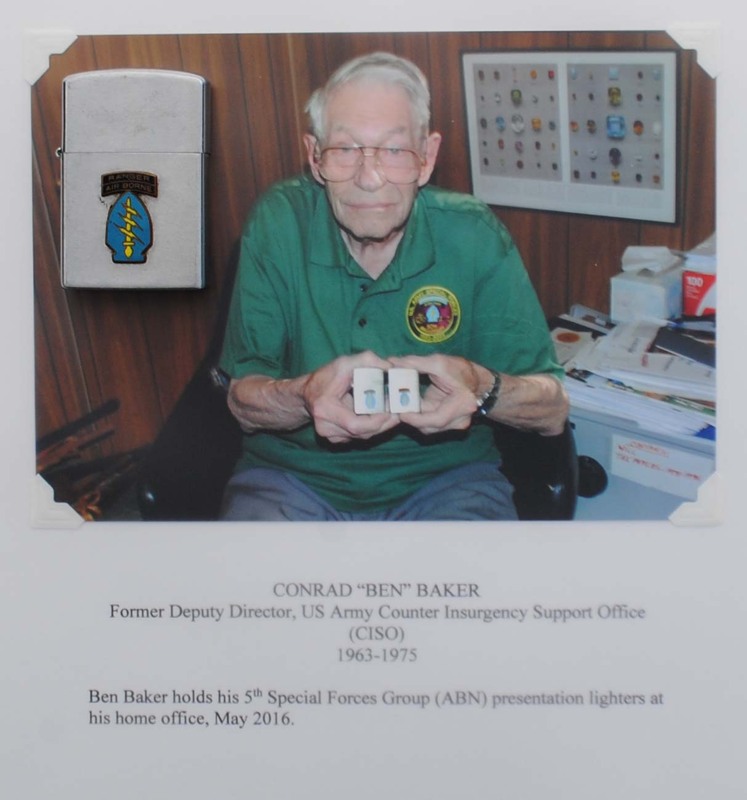 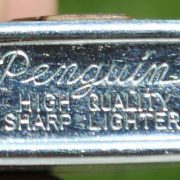 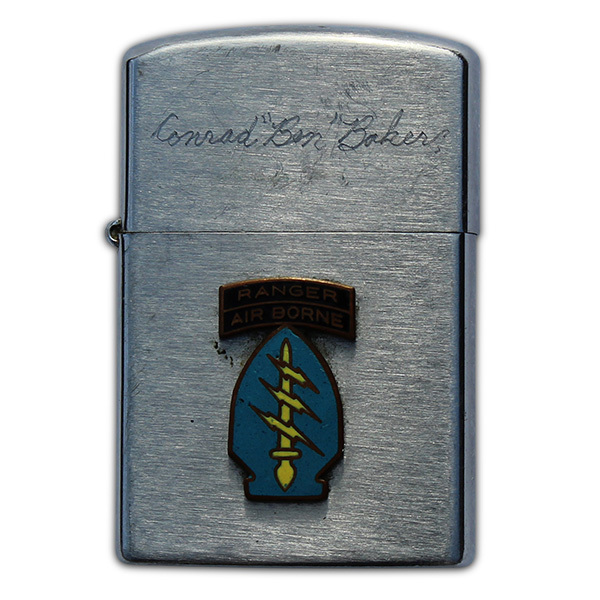 Wartime Penguin manufactured lighter that has an enamel Special Forces insignia affixed to the face with the lid engraved Conrad “Ben” Baker and the reverse is engraved: COMPLIMENTS OF CAPT. 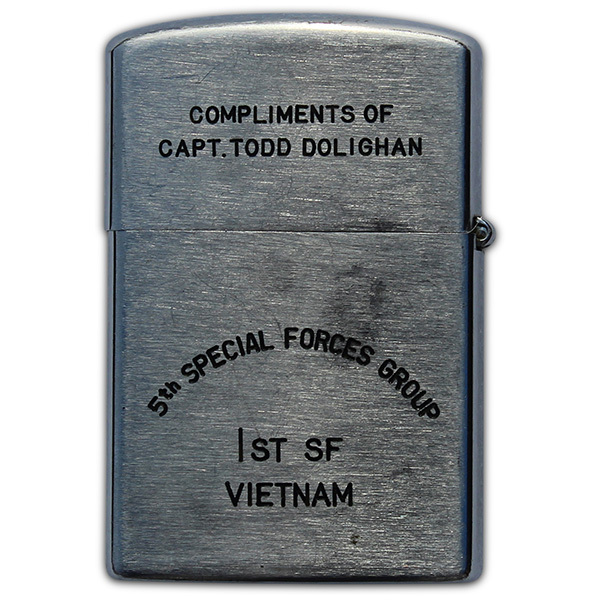 TODD DOLIGHAN, 5th SPECIAL FORCES GROUP, 1ST SF, VIETNAM. 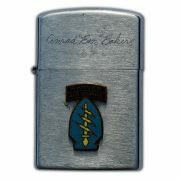 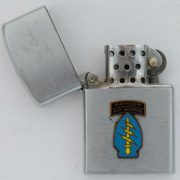 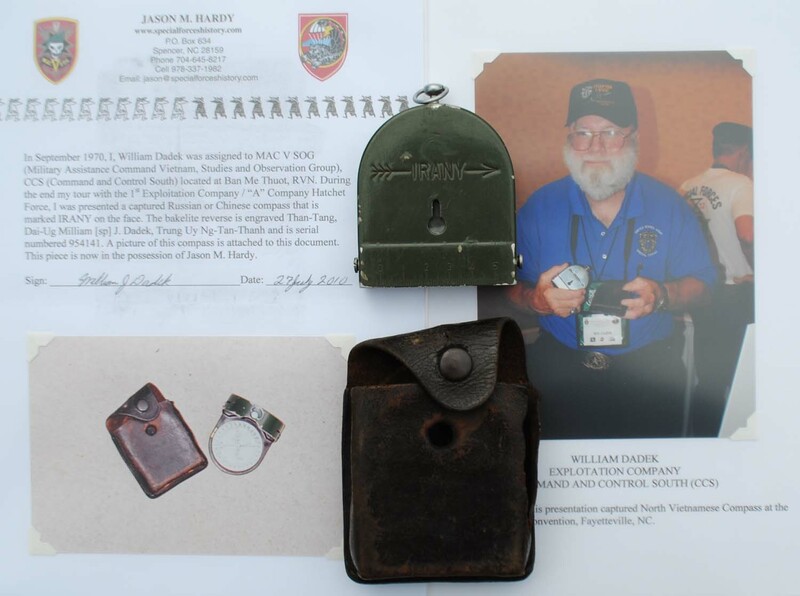 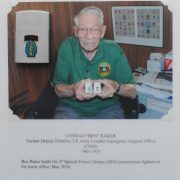 The lighter shows light honest wear and comes with a picture of the veteran holding the piece when I purchased it.